Photo courtesy of the University of Connecticut. 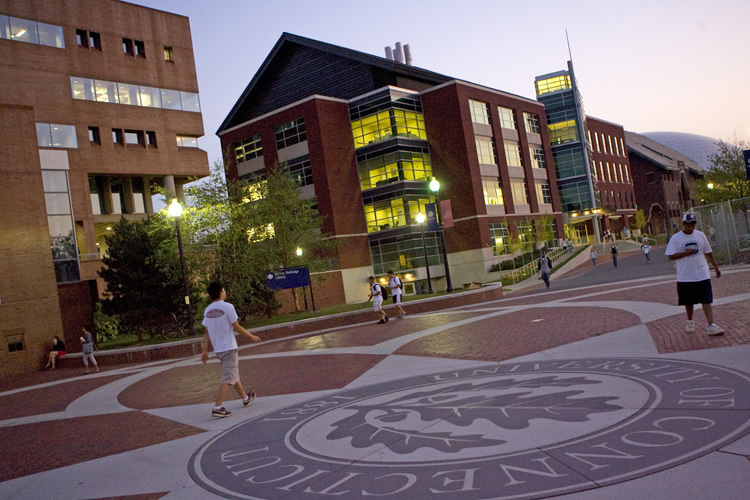 The University of Connecticut awarded a $6 million contract last year without competitive bidding to speed up repair work for fear of bricks falling from the Gant Building on the Storrs campus, but the company doing the project is no longer authorized to do state work. UConn awarded the contract last year to NER Construction Management, a Massachusetts-based company with an office in West Haven. Since NER began construction, its prequalification to do work for the state expired. According to state statute, no company can “bid on a contract or perform work pursuant to a contract” unless it is prequalified. UConn spokeswoman Stephanie Reitz said the statute “is the process for regular bidding on projects, which we do follow, mirroring our UConn policy” on it. “However, that process as outlined in the statutory language doesn’t address the procedure for contracting on exigent projects related to UConn 2000 such as the Gant repair work, which is necessary for public safety and also recognizes the legislative mandate of ‘avoiding further decline in the physical infrastructure of the University’ (Sec. 10a-109e),” Reitz said. According to a June update, construction is 75 percent complete and $500,000 over budget, although still within the $1.5 million contingency attached to the project. “While we’ve had scaffolding and other temporary measures in place there to address it, the continuing safety concerns for pedestrians and the continued deterioration of the materials made this work qualify for remediation under an exigent contract,” Reitz said. Then, UConn asks the project architect and a third party to evaluate the company’s proposal. Finally, the board of trustees approves the project budget. Reitz said the board approved the contract in September 2012. “It may be helpful for you to know that the test of reasonableness is a true scrutiny of the costs, not a ‘fait accompli’ for the aspiring contractor by any means – the University has in the past, and will continue to, reject estimates when they are not in line with the costs estimated by the architect and third-party reviewer,” she said.